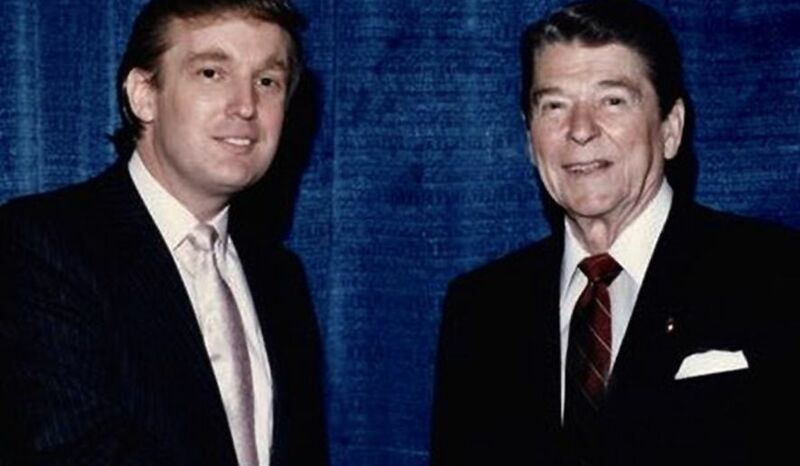 In the book out Tuesday about his “enemies,” Trump said that while he feels “I blow Ronald Reagan away,” the “fake news” media is robbing him of bragging rights by ignoring his successes and focusing on his problems. And even more frustrating, he told “Trump Enemies” authors and supporters Corey R. Lewandowski and David N. Bossie, some established conservative columnists aren’t giving him any credit. “All these guys that if they looked at my agenda with a different name…and he got the biggest regulation cuts in history in less than two years, judges, environmental stuff, getting out of the Paris horror show. If you said that conservative president John Smith did that, they would say he’s the greatest president. Far greater than Ronald Reagan,” added the president. In the interview, Trump heightened his attack on the media and said that “85 percent of it is totally corrupt.” What’s more, he said that some outlets make up sources and news. “You can do something great and they will make it look bad, to a point that you don’t even understand why they’re doing it. Why do they want to make it look bad? Whether it’s fixing the military or cutting regulation. But people have no idea how false and corrupt much of the media is. When you read some of these stories, you pick up the New York Times, and they don’t call you for sources. They’ll say, ‘sources say,’ and there are no sources. So that would be the one thing that surprised me. The level of corruption and the level of fake news,” he said.